Hyperledger membership has been growing quickly in China over the past year. To date, more than 25% of Hyperledger members are from mainland China. In order to foster a strong relationship between the Hyperledger global community and the China local technical teams, today, Hyperledger is announcing a Technical Working Group China (TWG China). TWG China was officially approved by the Hyperledger TSC on December 1, 2016. The TWG China is a bridge between the global Hyperledger community, the emerging technical users and contributors in China and the greater region, including Hong Kong and Taiwan. TWG China is now led by key contributors from China, who actively contribute to the Hyperledger Technical Community and build the consortium ecosystem. 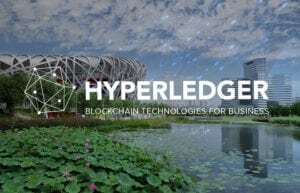 Currently, three members are appointed by Hyperledger TSC as chairpersons of the working group, including Baohua Yang from IBM, Dong Cai from Wanda and Ruifeng Hu from Huawei. Help grow the Hyperledger technical team, embrace more members and encourage technical contribution to Hyperledger community from the greater China region. Help demonstrate to new developers how to contribute,e.g., report bugs or file pull requests, and point motivated developers towards the Hyperledger roadmaps and development initiatives. Expose new users to the broad range of projects at Hyperledger. Regularly organize meetups, Hackathons, trainings and related activities for the membership and technical fans to communicate and exchange innovative ideas with each other. Individual contribution and firm membership are warmly welcomed. As an open team, TWG China encourages others from the community to join the team, help build the local technical scene, and promote Hyperledger with more adoptions and scenarios. If you’re interested in joining please email hyperledger-twg-china@lists.hyperledger.org. You can also visit: https://wiki.hyperledger.org/groups/tsc/technical-working-group-china for additional information.